As you all may know. I am a novice collector and the stuff i read here is educational and informative and i would not be nearly as knowledgable as I am without you all. I think i understand the some of real or perceived differences in the two TPGs. what I am looking for is commentary on these 2 points. 1. PCGS claims "all the best coins end up in our holders" - I have heard people buy NGC coins and cross to PCGS. Of course it happens in both directions. But, is the argument against this being a meaningful statement, the perception (true or not) that if you over grade as NGC is claiming, well why would a consumer not want the best coins to be in those slabs if it will make them more money? 2. recently i realized NGC does stars and PCGS does not. I was embarrassed to not have realized that sooner. I just crossed a few PCGS to NGC and my results were as expected. I got a few stars but no change in grade. STAR graded coins feel the same to me as CAC. I cant imagine eye appeal, strike, ABC rating for a given grade are not evaluated for when a star is potentially assigned. Is there a reason for CAC certification if you have a STAR. Of course some would probably argue for or against CAC, but i do not understand the need if NGC is are already saying this is a better coin than its equally graded brothers. Is this NGC attempt at CAC minimization? Why does PCGS not do it? Know that PCGS 'board of experts' are dealers that tend to gain from their statements. With that said there are many strong for the grade coins holdered by both services. material and almost all of my coins get verified by CAC as I am a collector submitter that is quite picky with my purchases. The Star doesn't necessarily signify a coin is better. It's an "award" given based on eye appeal, which is subjective. What some see as eye appealing others may not and vice versa. Ive crossed toned coins from PCGS into NGC for exactly the same reason. NGC star coins do bring excellent premiums, far more than a PCGS coin. For the most part -- most of the NGC Star coins Ive seen have deserved it. There are a few that didnt. But as Robec pointed out, its not the same as a CAC bean. Since toned coins are my thing, grade is less important to me that color. CAC telling me the coin is a A,B or C coin is not as important as a PCGS/NGC slabbing a coin, basically saying its MT. 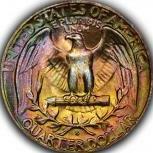 I also submit toned moderns to PCGS (post 1964) since NGC is very tough on these coins. Ive had numerous coins not grade at NGC which graded at PCGS. I believe the best way to collect is to ignore the holder and buy the coin but that doesnt seem to be a popular premise in collecting coins anymore. If the star grade is evaluated on eye appeal, which I agree with... What generates eye appeal? I say it is the color, luster, strike, and the detail that is derived from the strike. What generates the A, B, C of CAC? Dare I say strike, luster and detail. That is why i am confused. I feel there is great overlap. A and B coins are top notch for the grade. what are STAR NGC coins that are blast white? They have to be stars not due to color, but must go to the strike and luster, which in my view is what CAC is doing. I collect world coins namely mexico minted coins. I have found NGC to be much more consistent in their grading of these coins than I have found PCGS. That is my personal experience, and I think the market strongly agrees with my conclusion. In fact, I do not even believe it to be close. PCGS graded coins sell for a big discount under NGC coins. However that has not been the case in US coins for me. A lot of the modern coins PCGS seems to sell for a slight premium over NGC coins, or at least until the PCGS only collectors get their collection desire met then it seems like the price drifts back to where NGC slabbed coins are selling. I think a lot comes down to personal buyer preference from their experience in the market. If you are after libertads you would be best served pursuing NGC graded coins if you want certified coins, with respect to market value and consistency in grade. It may not be the case in the future but it definitely is today. End of the day the star, +, and CAC are all industry ways of creating increased value in a very saturated US coin market. Its a way to resell the same coin for more money thru assigning a higher grade, adding a star, or a +, or last but certainly not least putting a bean on it. At the end of the day you have to ask yourself who does these designation really benefit? It isn't the buyer, its the sellers, because if the coin has outstanding eye appeal and quality it will sell for a premium, it doesn't need a sticker or an designation on it. 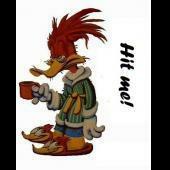 Just my . On blast white coins a 65 might get a star if one side of the coin has the ultra sharp characteristics of an MS67 coin while the other side maybe closer to 64. It would get the star based on the appearance of the 67 side of the coin. But CAC will look at both sides as one and determine it isn't an A or B coin. In a proof coin one side may be Deep Cameo while the other side is just Brilliant. It may get a star based on the DC side of the coin. A star designated coin tends to garner a premium at the same numerical grade; however, PCGS is very notorious for color bumping and sometimes excessively so (as much as two points). A color bumped coin may be worth more than the star. It varies. I've been screwed over by the color bump thing before (i.e. accurately graded NGC star coins that shouldn't upgrade that are color bumped to a higher grade) and left money on the table. Yes, very true. I didnt think of that. I'd rather have the Star coin that is accurately graded then the color bumped coin, in either holder. I agree 100%. PCGS has taken things way too far in the last couple of years. how does a Blast white NGC coin with a STAR, get the Star? And how is it different than a Blast white coin that gets CAC bean. it has to be the same thing, right? If a coin has no toning, what generates eye appeal, strike and luster. what makes a A/B coin in a grade? If the coin has toning, i get that a star can mean something different, i.e. eye appeal, which has its issues in defining. My second comment/question is... what incentive does a company have to "grade accurately" if they advertise the best coins end up in the holder? (AND THEY WANT TO PERPUATE that belief) Seems like a "no brainer" to me that if you have a terrific coin and can get 2 points higher on the grade with one company than the other why would you choose the lower grade. You will hear time and time again that grading is subjective. Subjective things depend on your own ideas and opinions: there isn't any universal truth. Subjective is the opposite of objective, which refers to things that are more clear-cut. That Earth has one moon is objective — it's a fact. Whether the moon is pretty or not is subjective — not everyone will agree. Facts are objective, but opinions are subjective. What's the best song, band, movie, or TV show? These are all very subjective issues. There's no right answer. Didn't this answer part of the question? Yes, but I have seen a number of NGC star coins, which look to me as if they have received a color grade bump, in addition to the star. I think it is far less prevalent, at least it seemed that way to me when I collected higher quality toned coins (of the caliber that many would consider monsters). Either way, some of the grades PCGS has doled out to toners are ridiculous with two to three point swings. I've crossed coins to PCGS that have done both, drop a couple of points and grade up a couple of points. Both companies do it. The "blast white" coin might have blinding luster. Or semi-prooflike surfaces on one or both sides. Or prooflike surfaces on one side. Or cameo contrast. Or some combination of the preceding. Rarely will a coin grade two points higher at one of the major grading companies, compared to the other. I agree and I disagree with this. I completely agree that we should figure which company treat us the best as a paying customer. However, suppose you have a common coin 1883-O Morgan NGC MS64* which it has a gorgeous eye appeal toning, but has a one small scratch on Liberty’s cheek, and you sold it to someone for $150-200 (while the NGC's value for that 1883-O Morgan NGC MS63 is $90). Then that purchaser took it out of NGC slab and submit it to PCGS, and it comes back as between MS65 or 66 because it has insane eye appeal toning and PCGS doesn't providing a star designation. Purchaser would sell it for 3-5 times of your sell price. So would you agree with PCGS’s decision with MS65 or MS66 on that previous NGC MS 64* Morgan with 1 scratch line on cheek? You probably should have sold it for more. No offense but you cannot blame the buyer for getting the upgrade and increase in profits. And you cannot blame PCGS for giving it the bump for color. You could have tried the cross yourself before selling it. That is just the game. We dont make the rules but you have to know them and play them accordingly. From my research most common date MS64* are going from $350-$750. 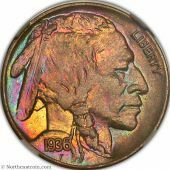 Common date rainbow toners in PCGS MS65 are about the same. Subjectivity rules, and no aspect of coin grading wields more subjective power than eye appeal.
. Then that purchaser took it out of NGC slab and submit it to PCGS, and it comes back as between MS65 or 66 because it has insane eye appeal toning and PCGS doesn't providing a star designation. Purchaser would sell it for 3-5 times of your sell price. So would you agree with PCGS’s decision with MS65 or MS66 on that previous NGC MS 64* Morgan with 1 scratch line on cheek? Yeah true. It was not me who was in that situation though. Just get an idea/concept from several previous posts and from the online auctions that I can recognized the exactly same coins that were crossover. One old post here on forum a year ago or 2 about the toned mercury dime that was graded PCGS MS66+ or MS67+ (can't remember the exact grade it was in, I tried to find that post to add the link here, but couldn't find it) with green CAC sticker on it. Then that owner cracked it out and resumbitted to PCGS and come back at MS67+ or MS68+ even with green bean sticker on it! It doesn't make a sense because if CAC thinks that MS66+ or MS67+ mercury dime can be upgrading, then CAC should gives it a gold bean sticker instead of green bean on that exact same coin. I assume that the professional graders have different perspective or can't give us a straight answer on the difference between MS67 and MS68, I mean not only the professional grader, all of us who love the coins. It has been a while, but due to the new board rollout I thought I would jump back in and post again. On the question of "NGC vs. PCGS", which has been posed an absurd number of times and masked in every way imaginable, the idea might be best thought of as "NGC and PCGS" instead. Both grading companies are very reliable, quite consistent and extremely professional; but both grading companies grade to their own proprietary standards. Neither is better in that respect. Additionally, neither grades strictly according to the American Numismatic Association (ANA) grading standards. They are what they are and one thing that they are is quite similar. The grade "window" (the upper and lower boundary for any grade within a coin series) has significant overlap between the two companies and currently diverges most notably, in my opinion and experience, when one gets into the higher PR/PF (66+) or MS (65+) designations for the niche that I am most familiar with (classic US type and wonderfully toned Roosevelt dimes and Washington quarters). Of course, what the grading services are doing now is not indicative of how each has performed in the past. However, there are fans of each company who might push the prestige of the company beyond what is within reason; there are outlier coins that were graded by either company that are true head-scratchers and that do not reflect the bulk of the work of either company; and there are folks who repeat things they have previously read on the internet and we all know nothing on the internet is false. I like both companies and hope both companies succeed, but at this point exclusively use PCGS for certification because my client base, and the larger market from my experience, tells me that a PCGS certified coin might be more liquid and/or more valuable than the same coin in an NGC holder. 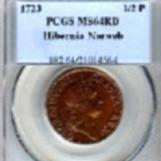 However, I am happy to handle NGC-certified coins that I buy on the bourse or at auction or take on consignment. Others may have differing experiences here and I am not about to get into a debate to prove one or the other correct. As for the star designation and the CAC sticker; they are completely and entirely different things and to equate them as the same is to misunderstand what each is about. In theory, the NGC star is to denote something special about the coin, which typically gets written as superior eye appeal. Often, this superior eye appeal is thought of as terrific toning, but it might also be a one-sided DCAM proof coin, a blast white PL-business strike from a series not known for such coins or perhaps something else. However, it does not mean that the coin is upper end for the grade assigned since the eye appeal that the star is denoting has already been factored into the assigned grade. CAC, on the other hand, strives to identify not only coins that grade in the upper end of the assigned grade (A and B coins), but also endeavors to identify coins with manipulated surfaces (puttied gold, applied cameo proofs, laser engraved details, artificially toning, etc...). Please note that in many cases CAC has the upper-hand on the TPGs since the coins are already in a holder and may have been there for many years, which gives NGC, PCGS and CAC sufficient time to identify and weed out methods of alteration that at first escaped detection. Therefore, CAC might be better though of as a tool available to all and, as such, it is quite similar to knowing how to use a loupe; having the knowledge to spot counterfeit pieces; understanding what manipulated and original coinage should look like or how they will likely appear; being able to interpret printed guide prices and auction results; understanding how to grade according to the ANA standards and how this grading differs from the various TPG grading standards; and learning all the options for being and selling coins within the market. Your experience may differ than mine and I realize many new NGC users won't recognize me, but my experience is pretty darn deep and long-term with a fair amount of success. Tom, good to see you post here. For those of you who don't know him, Tom is extremely knowledgeable, a straight shooter and a highly informative poster. I can't recommend him highly enough. CAC, on the other hand, strives to identify not only coins that grade in the upper end of the assigned grade (A and B coins), but also endeavors to identify coins with manipulated surfaces (puttied gold, applied cameo proofs, laser engraved details, artificially toning, etc...). Ive been told this is simply not true - that a CAC bean is not indicative that the toning is natural. I could find nothing on their website to indicate that CAC will/can confirm the toning of a particular coin. I am not doubting you, but I havent seen anything that says differently and I would really like to know if your statement is true. Maybe I missed it. Did Albanese state this in an interview ? Since I am a toner type of guy, it would be most beneficial if CAC did provide this type of service beyond just reviewing the grade assigned by PCGS or NGC.